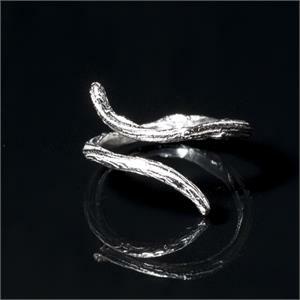 This twig like adjustable ring is great if you want to wear the ring on different fingers. Care for this ring is simple. It can be polished with a cloth or dipped in a silver cleaner. Production time is roughly 3 weeks. If you need this piece sooner, please contact info@eldrethdesigns. I may have something similar in stock.